Dennis Washington is a multimedia communications specialist for Alabama Power in Birmingham, Alabama. In his spare time he helps church leaders develop successful growth plans via social media evangelism and deliberate communication strategies. Dennis started working for Alabama Power as a freelance contractor in March 2016. 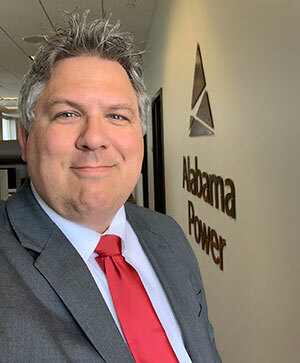 In March 2019 he joined Alabama Power full-time as a multimedia communications specialist where he provides social media and live streaming support for Alabama NewsCenter, the company’s “good news from home” website. Prior to working for Alabama Power, Dennis was a freelance online journalist where he helped businesses, churches, schools and organizations tell their story through live streaming and social media. Dennis is very involved in his family, church, and community. He and his wife, Stacy, have been married since 1997. They have twin daughters, Morgan and Katelyn, born in 2001. Dennis is a deacon at Deerfoot Church of Christ in Birmingham, Alabama, and a member of the Maywood Christian Camp Board of Trustees. He has provided audio/video production and social media services for multiple church events including Exposure Youth Camp, SOAR Youth Rally, The AIM Conference, GULF Youth Experience and Lads to Leaders. Dennis is an Eagle Scout and a licensed Amateur Radio operator. My experience with live streaming actually begin in the early 2000’s during my days of tornado chasing for FOX6 WBRC-TV. Before Skype became a household name I used Yahoo! Instant Messenger installed on a laptop with a webcam taped to the windshield to send back “video” from our storm chase vehicle. I use the term “video” here loosely because the frame rate was very poor at the time due to the slow data speeds – I was lucky to get 1 frame a second when we were driving. But, one frame was better than none. As technology began to improve, so did our abilities to live stream. In the summer of 2006 I convinced my TV bosses to start live streaming our newscasts, despite conventional “wisdom” that doing so would hurt TV ratings. In the end, the opposite happened: the more content we streamed live, the more people watched TV news. TV viewers quickly began consuming our live video content. On January 4, 2007, more than 9,000 people watched our live streaming coverage of Nick Saban being introduced as the new head coach of the University of Alabama. We also started live video streaming The Paul Finebaum Show, a daily sports radio talk show in Birmingham, Alabama. Thousands tuned in each day to watch Paul’s reaction to his callers. In later 2007 I assisted my church in setting up a live streaming solution for worship services. 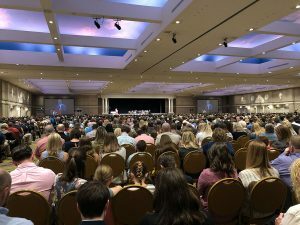 Since then hundreds of sermons have been streamed via the congregation’s Ustream channel and archived on YouTube, giving visitors and sick members a way to participate in the worship services. By 2011 the iPhone phenomenon was sweeping the country, revolutionizing the way people consumed content. As a storm chaser and digital content producer, I started using it to stream live HD video on my way to work for the traffic reporter. I also live reports via Skype from places where sending a standard TV truck was not practical or cost-effective. My most vivid memory of the power of this new mobile streaming technology happened on April 27, 2011, when my photographer and I chased an EF-4 tornado into Tuscaloosa, Alabama. My live video and live phone reports, both before and after the tornado damaged or destroyed more than 10 percent of the city, encouraged thousands more to take shelter as the storm raced towards Birmingham. My live video was streamed for hours via Ustream, a segment of which I saved here on YouTube. In early 2013 I began to take notice of what I now believe is a seismic shift in the way news and media is consumed. The rapid adoption of “smart phones,” coupled with great advancements in data speeds by cell phone carriers and internet service providers, dramatically changed the media consumption habits of the U.S. population. People no longer needed to go home and watch TV to get their news – it was delivered instantly to them on their phones during the day. Advertisers knew this, too. Trade reporters told stories weekly of businesses who were shifting more money out of traditional media (newspapers, radio, TV, etc.) and into digital properties such as websites, apps, and social media. By April 2013 I knew I needed to make a change. I felt a desire to carry my TV talents to digital content marketers. I could feel the internet revolution. So, on June 1, 2013, Cross Digital was born. The company started out originally as a content marketing company. However, within a few months I realized the company needed a specific focus – a unique mission. In July 2014, that mission started to come into focus with the arrival of Pat Smith. Pat was the co-creator of The Paul Finebaum Show but left the show in May 2014 and began working with me to develop a live, weekly high school football show. The show generated more than 38,000 views on its YouTube channel during the 2014 football season, making a huge splash in our community. In March 2015 we launched the Alabama version of Listen to the Eagle, a weekly radio show and live streaming internet TV show. 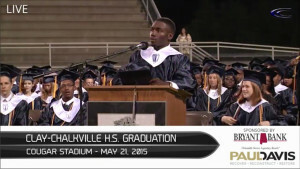 In May 2015 we live streamed a local high school graduation ceremony which resulted in this international viral video. In July 2015 we launched Game Day Bunker, a live streaming TV show focused on football at Auburn University. The following month we launched the Husky Fast Network, a live streaming TV and Radio Network broadcasting football games and other athletic events for Hewitt-Trussville High School in Trussville, Alabama. Live and on-demand Game Day Bunker content was viewed more than 90,000 times during the 2015 football season. Live and on-demand Husky Fast Network content was consumed more than 30,000 times during the 2015 football season. Those numbers are incredible considering the marketing budget for each was less than $500 for the season. Speaking of money, both Game Day Bunker and the Husky Fast Network generated tens of thousands of dollars in gross revenue during the fall of 2015. 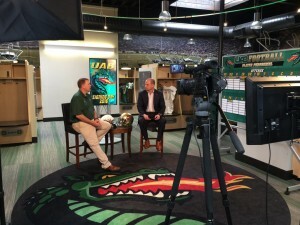 In February 2016 we executed one of the most challenging live streaming events in our company history: a 5-hour unscripted show covering UAB Football. Streamed from inside the UAB locker room, more than 1,000 people tuned in to see live coverage as coaches announced the arrival of letters of intent from football commitments. The show was a huge success. In addition to internet live streaming, I am often asked to provide live video and audio support at large events. Since 2013 I have designed and executed a multi-camera A/V setup for Exposure Youth Camp and the AIM Conference (formerly known as Southern Evangelism Conference.) I have also provided similar assistance to Faulkner University, the GULF Youth Experience, and SOAR Youth Rally. In 2017, Lads to Leaders asked me to design a new audio-visual equipment package for their convention sites as part of their Vision 21 campaign. What resulted was a mixture of new audio, IMAG, and video streaming equipment to enhance the presentation of award ceremonies inside and outside each venue. In July 2017, I started ProStream and Cahaba Photography. ProStream is a professional audio visual event production company, offering services to businesses, churches, schools, and organizations wanting to live stream professionally. Cahaba Photography is my place to practice my love of capturing 1,000 words with the snap of a shutter. In February 2018, I started Pro Church Video, a social video outreach and communications ministry. I recognized a need for churches to use social media and the internet to reach their communities, as well as embrace newer technology to improve internal communications. 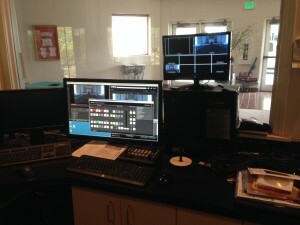 Pro Church Video allows churches to harness the power of a team of creative professionals at about a tenth of the cost. In March 2019, I accepted an offer from Alabama Power to serve the company full-time as a multimedia communications specialist. My primary responsibilities are to help the company share the good news of Alabama on AlabamaNewsCenter.com and the Alabama NewsCenter social media channels. I am currently developing Outreach Planner, a workshop for church leaders, helping them develop successful growth plans via social media evangelism and deliberate communication strategies. Contact me and let’s connect!